The Kids Map by Awesome Maps is a beautifully illustrated map of the world on which all continents and the most important deserts and mountains are labelled. 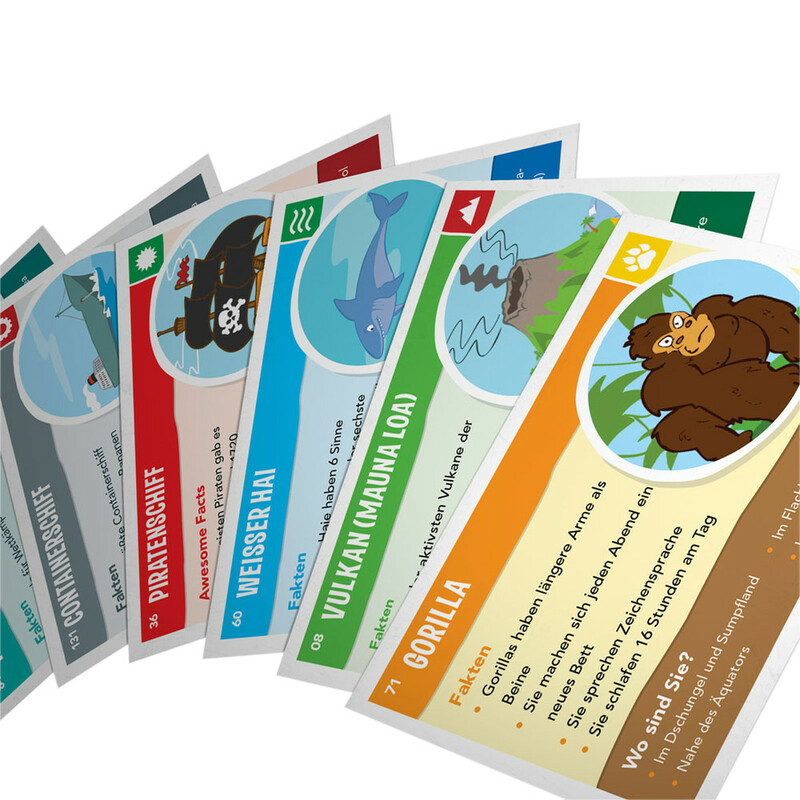 In addition to the Kids Map, the Expeditions card deck is available with 150 playing cards, featuring questions and references to animals, natural wonders, history and more. With the playing cards, children can explore the Awesome Maps world map or without it get to know different animals, regions and countries easily. To play this game with your children and you can have a fun day. 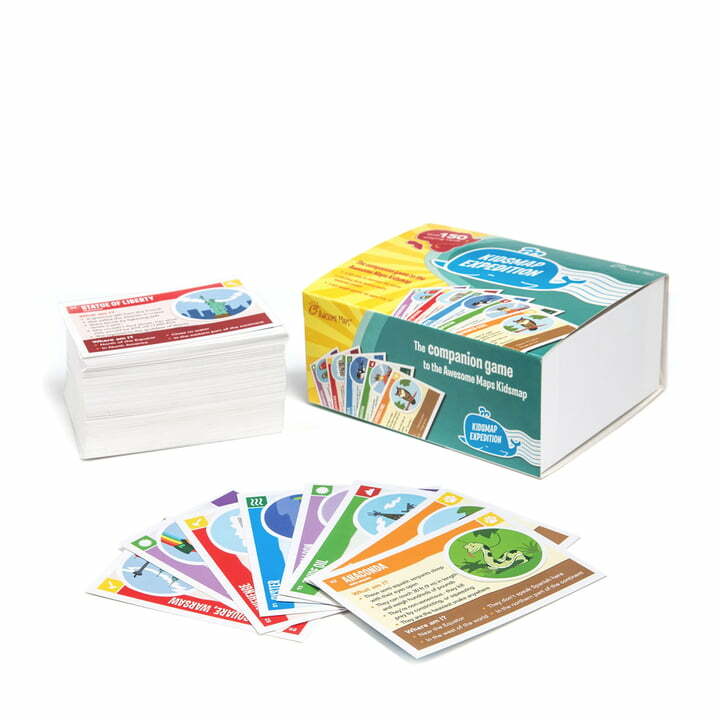 In addition to the Kids Map, an Expeditions card deck is available with 140 XXL playing cards, featuring questions and references to animals, natural wonders, history and more. 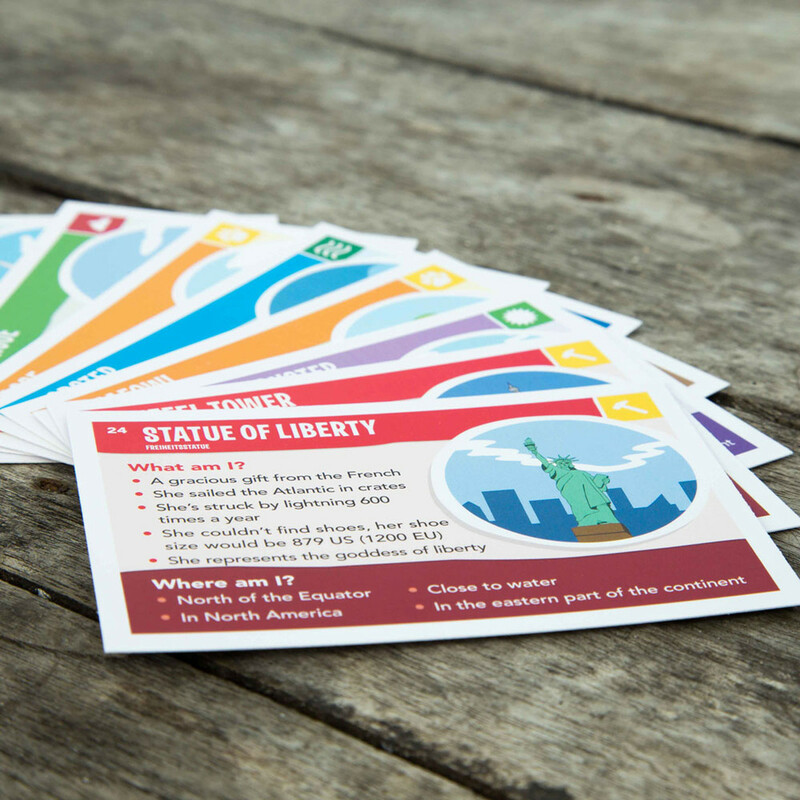 The Kids Map Expedition card game by design studio Awesome Maps explains the world in a simple way and can be used as a standalone game without the Kids Map.